It’s absolutely a political move, but President Barack Obama’s executive order today allowing Homeland Security to use discretion in deportation procedures when dealing with young undocumented people who have grown up here and are American in all but their legal status was the right move. First, what Obama’s order will and won’t do, and the politics on Monday. * Put an immediate halt to deportation of undocumented people 30 and under who came to the U.S. before their 16th birthday. * Create an opportunity to defer deportation proceedings for two years, renewable every two years until the DREAM Act or some variant of it passes, or the president (or his successor) rescinds the order. Not everyone who applies will get deferred action. 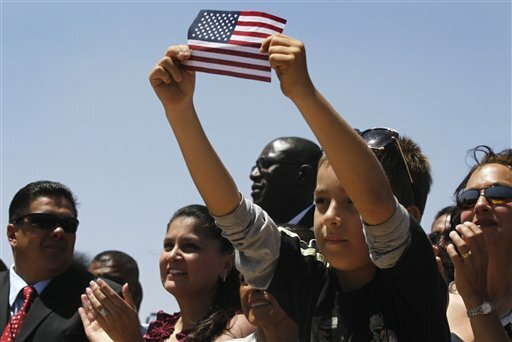 * Allow those granted deferred action to apply for a work permit. * Allow those granted a work permit to apply for a driver’s license. * Change immigration policy. It merely provides a way to suspend certain provisions of the law. It is a temporary change, which can be undone by Obama or his successor with the stroke of a pen. Immigration policy remains intact. * Create a path to citizenship or permanent residency. Those who follow under the order’s discretionary ruling will be granted deferments as temporary relief. They’ll go from having no papers to having to do a whole lot of paperwork every two years. * Provide category relief. It’s a case by case review, depending on the kind of documents each individual can provide to prove their heretofore undocumented lives, which also means it will be a huge bureaucratic burden. * Provide any kind of family unification. Like I said, it’s a case by case review. Most significantly, the executive order does not replace the DREAM Act or the need for the DREAM Act. It’s an end run because Congress has consistently failed to pass the DREAM Act.